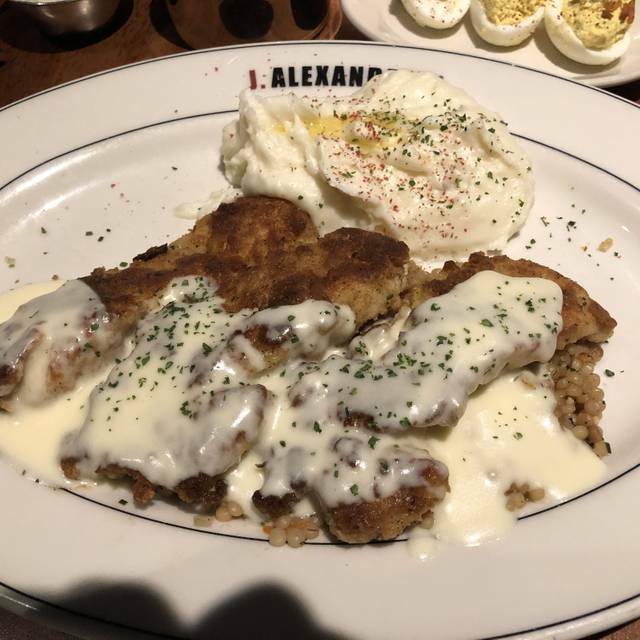 J. Alexander's is a contemporary American restaurant, known for its wood-fired cuisine. Our core philosophy is to provide you with the highest possible quality dining experience. 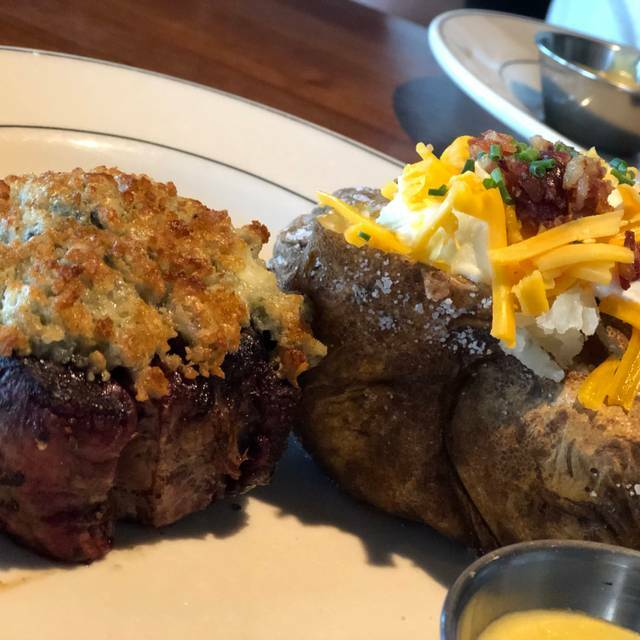 The menu features a wide selection of American classics including prime rib of beef, steaks, fresh seafood, sandwiches and entrée salads as well as daily chef recommendations. The restaurant has a full-service bar that includes an outstanding selection of wines both by the glass and bottle. As always,food and service was excellent. Great experience. We will be back. This was an enjoyable meal at a reasonable price. The appetizer was great, the salad was well dressed and the steak was perfect. The service and staff were amazing!! My salad and baked potato were wonderful as well, but my filet was horrible. It wasn’t cooked right so it went back and then when I went to eat it it was fatty which a filet should never be. Manager and server were amazing about it. One of our favorite places! Such a comfortable experience. ...delicious food and superb service! THE BEST CARROT CAKE ON THE PLANET!!! Enjoy our meal and service today. 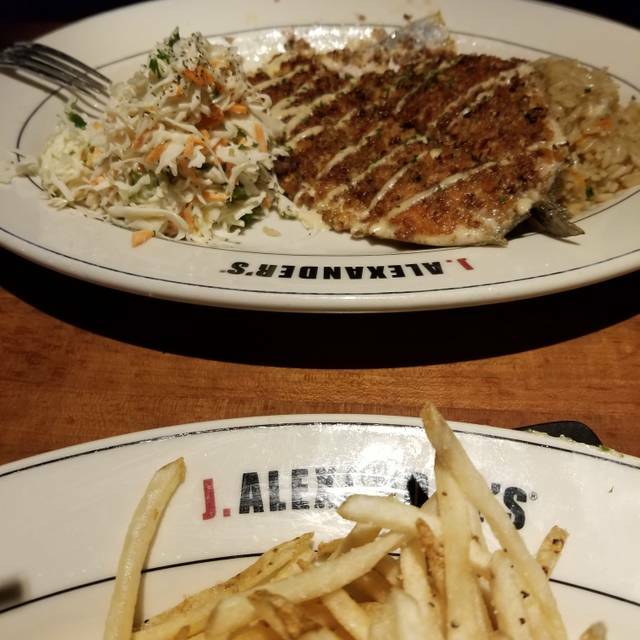 J. Alexander’s used to be one of my favorite restaurants. I used to go there almost every weekend pretty much since they opened, but stopped over a year ago. The menu never changes (except to get smaller - my favorite entrees all disappeared over time) and even the specials seemed to be a rotation of the same 3 or 4 dishes. I decided to give it another shot for my birthday since I hadn’t been in awhile. Nothing had changed. Both the service and the food quality are good, so not really any complaints there. They really just need to overhaul their menu, add some new items and specials. It’s probably fine if you go once or twice a year, but it becomes very boring and predictable for regulars. This was for a friends birthday dinner and from starting the reservation to leaving the Resturant the experience was fair from expectations. I originally made the reservation through the app. I needed to change the number of people and ask for a larger table or two tables close together and when I called the hostess was beyond rude, seems very annoyed and explained very poorly how the Resturant is not “setup” for larger parties (I asked for 12 instead of 7 or two tables close together). Dealt with it and kept the reservation hoping we could just make it work. Once I arrived (650 when the time was set for 7) I was greeted by possibly the same rude hostess that I talked to the day before, if it wasn’t then that’s two annoyed and irritated employees. I gave my name and they said they’d work to get the table ready. I went to the bar to wait. At 745 a sister in law of the birthday girl went to the hostess stand and dealt with the same lady I did. She said she was waiting for me to let her know we were ready. I’ve never ever had to “let them know” especially 45 mins past the time of reservation. Not to add that she never mentioned that me to when I checked in 10 mins early. The manager said he’d take care of the apps for the trouble, they were on my bill. I didn’t mention anything as I’m not in it to “get free food”. The only saving ray of sunshine was our waitress. She was amazing!! So kind and understanding to our initial attitude based on the first hour of experience. She helped put the walls down and have a great night. Ended with a dessert and candle. She was amazing. I must say this will not be a place I will return to unless someone has an event but not by my choice. Great food as always; enjoyed the evening and a nice quiet booth for our date night. Great service and ambiance. Our favorite entree is the fried shrimp which is always excellent! 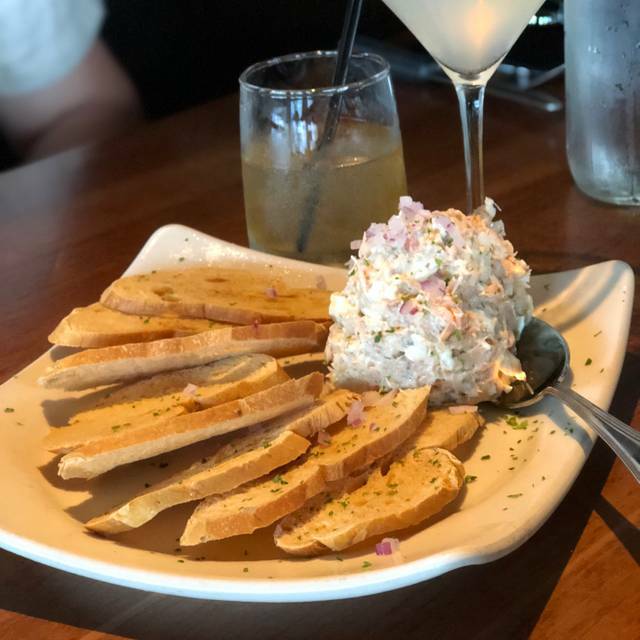 Little to no wait for a table and consistent great food and atmosphere make J Alexander one of our favorite restaurants. This was a daddy daughter lunch date. My daughter had a simple meal that was fine. 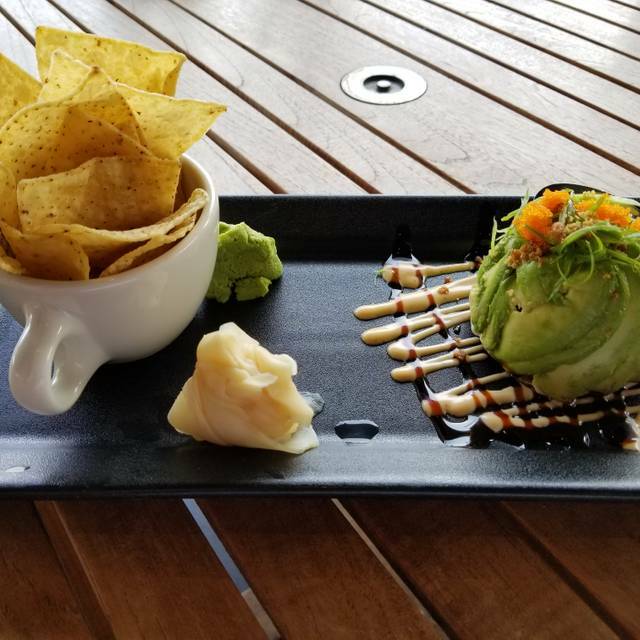 I had the Ahi Tuna salad, and there were more fried noodles than actual salad. Our service was also subpar. The hostess at the front was great, however our server was somewhat inattentive. No questions about drink refills, no coming to check on us, no questions about us desiring other things, long windows between times he would come to our table. Not unpleasant, just not attentive. Wonderful food: fresh and tasty! We had soup, salad and dessert. The salad was attractive to look at and tasted even better. The soup was unusual, but wonderful flavor.My friend swooned over the key lime pie. She said it’s the best anywhere. The service was also outstanding by way of Sydney. She was professional yet friendly. I would highly recommend. 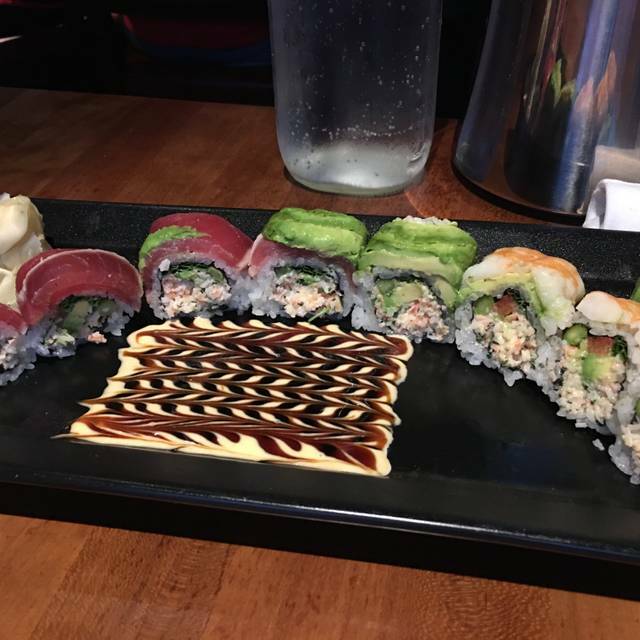 The Mike’s filet sushi roll and the prime rib were perfect! The waiter “accidentally” threw away my food when I asked to have it boxed and then came back and had me wait for it to be cooked again before even telling me. The food is always good and the service is very attentive. We went at 11:30 when the restaurant opens and I recommend reservations as the restaurant fills up quickly. It's a great place to go. Food was great but service was quite slow. It seemed to be our waiter. Others came by to check on us and were very quick to respond to our needs. Our waiter seemed to not be cut out for his job. Excellent experience! Wonderful attentive waitress. Food was very good. To[p level food; excellent service, however I would say for the cost of the meal they should have provided some bread on the table to start. What you got was nothing more than the meal printed in front of you. 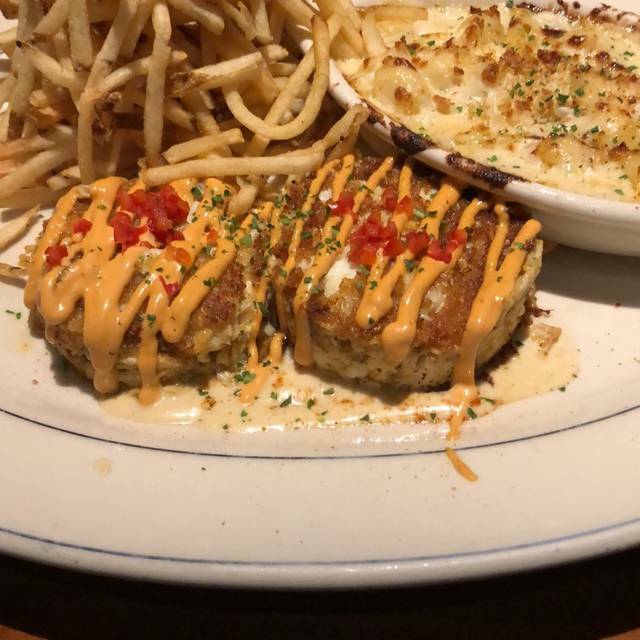 We got the crab cakes, listed under the entrees. Under the title Entrees it states you get either an alexander salad or a cesar salad. But when we asked about choosing the cesar salad, we were told with no explanation, that there was no salad coming with this entrée. I feel like its on the management to provide customers with the service or the explanations. Again, it is a good price to pay and there should be a little more with the presentation. The noise level is probably one thing that might not bring me back too soon. The acoustics make everything sound like its louder and next to you. The service was excellent as was the greetings and goodbyes of everyone there. The only issue with the place is the furniture which is outdated and needs to be refreshed. Food was actually very good this time and service was fantastic. We had a great evening celebrating our son’s Birthday. Our waiter was fantastic and the food was great. We ordered a couple drinks. Mimosa and a bloody Mary. My wife said the bloody Mary was good. Mimosa was okay kind of had a instant Tang taste to it. We started with the salmon dip which was great. We both ordered the prime rib and it was good as well. We finished with the key lime pie and that was pretty good. Good service nice crowd. I would definitely go back. Our lunch was fresh and nicely prepared. Everyone enjoyed their meals. 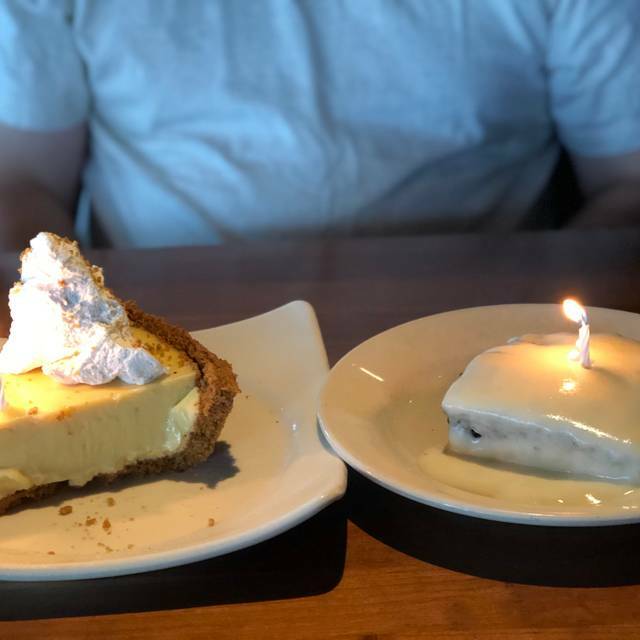 We were celebrating a birthday and I was disappointed that there were only three dessert selections and no complimentary dessert offered to the guest celebrating his birthday. Always a great experience. I’m from out of town and when I come to Columbus that is one of my favorite places to go. Food was excellent, service was sub par, had to ask multiple times for things. Would visit again hoping for better service. Good food and great service. Very noisy. Hard to hear conversation with people at your own table. Best dining experience in years! I made a reservation for a birthday dinner for my wife. I asked, if at all possible, if we could have a seat away from the crowd and to also surprise her with a birthday dessert (if at all possible - but to not make a big ordeal out of it). From the moment we walked into the restaurant we were treated wonderfully. Our server Brandon was attentive, polite and friendly. He did everything we could have asked for and more. When it came time to box up our meal, he slyly brought over small plates and forks. I knew what this meant - he then walked over with a candle lit piece of the best damn carrot cake my wife and I have ever had! 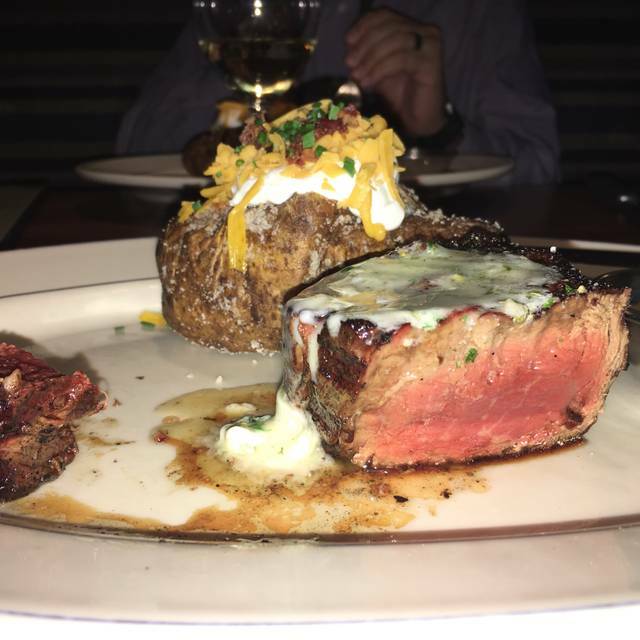 Her filet and fries were cooked to perfection - the steak cut like butter. My prime rib and mashed potatoes were divine. The entire staff, including the manager cared about their customers. I would recommend them to anyone! We had a wonderful anniversary dinner. Andy did not disappoint! He is a fantastic server and the food was amazing. Thank you! We had a great family dinner before dropping my niece at the airport. Great location and tasty food.